With the number of users of instant messenger apps multiplying, Path has launched its own instant messenger. 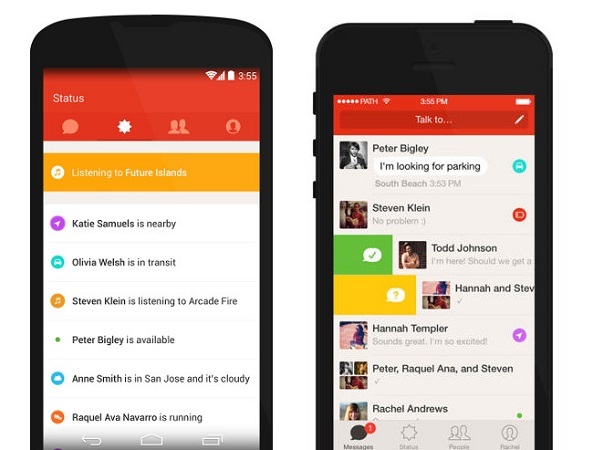 Path Inc, which is known for the Path social network, has launched the Path Talk, the company own messaging app for the Android and iOS platforms. This comes as no surprise considering that they had recently added the messaging feature within the Path app. While the company claims that the messaging feature was very popular amongst users, the question whether an individual messenger app was requires, still remains. The Path Talk messenger app has some interesting features like the Ambient Status which automatically tells your friends when you are in transit, nearby, or low on battery and may be unable to reply. Similarly, Quick Replies let the user to nudge a friend, acknowledge a message, or start a call without even having to use the keyboard. The Path Talk app also has the Off the Record message system which assures the users that the messages exchanged are deleted from the servers after 24 hours. There is also a facility to send recorded voice messages. Like other messenger, there are also some funny stickers to make the conversation more engaging. You can download the Path Talk app from the Google Play store or the Apple App Store.